With the development of LTE network technology, more and more network providers are trying to upgrade the network to LTE advanced with carrier aggregation. Then more and more users are demanding for LTE Cat6 equipments so as to achieve possible fast downlink and uplink speed. Finally, ZTE presents its first LTE category 6 wireless router since Huawei had its LTE cat6 router E5186 and E5175 on sale for long time. 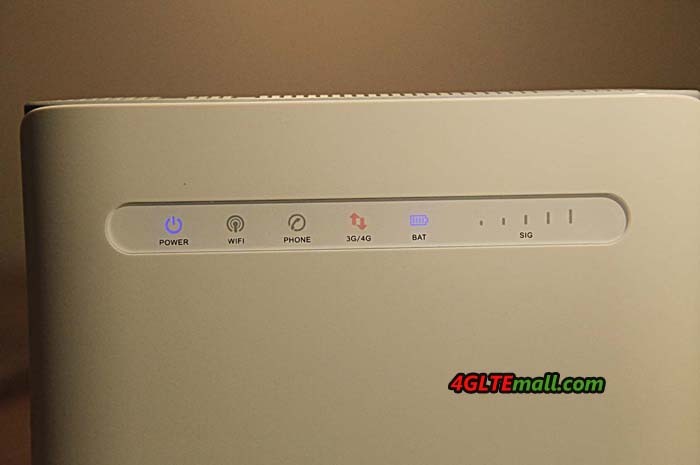 ZTE MF286 looks similar to the traditional wireless home router, but in this new router, ZTE had designed a built-in battery so that users can not only use the MF286 as a stationary router at home, but also take the MF286 router outdoor for mobile use. With the 3000 mAh battery, ZTE MF286 can support a conference call for up to 4 hours or share a 4G network for up to 3 hours. It can’t be taken in a pocket like ZTE MF970 LTE Cat6 MiFi, but it’s useful for multiple devices’ network support. Like the Huawei 4G LTE Cat6 routers, ZTE MF286 can achieve peak download speed to 300Mbps and upload speed to 50mbps on LTE networks. The speed is almost the double of the current speed on LTE Cat4. If user downloads a movie of 1GB, it may only take few seconds on this speed. ZTE MF286 Router can achieve this due to the Qualcomm WTR3925 RF transceiver chipset based on the 28 nm process with the Qualcomm MDM9230 modem based on the 20 nm process. The new chipsets perform better and consume less power than its predecessors. Compare with the current home routers, ZTE MF286 CPE has almost the highest level to support WiFi 802.11b/g/n/ac and 3 x 3 multiple-input multiple-output (MIMO) technology with three spatial streams for maximum performance. It operates on both 2.4 GHz with great wall-penetration capabilities and 5 GHz with a lower chance of picking up interference. 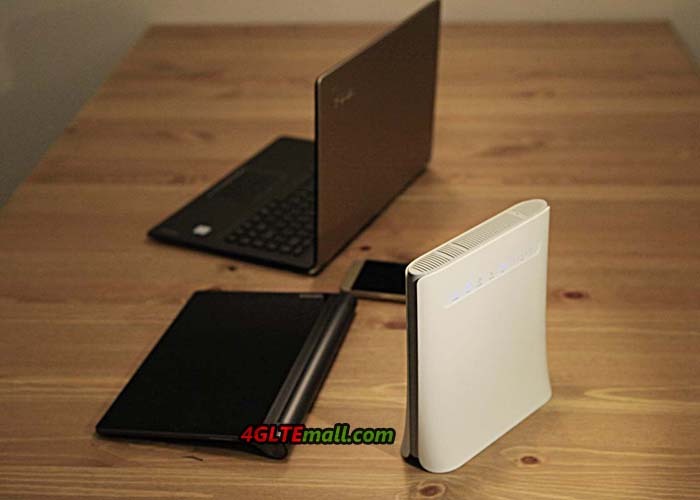 The powerful gadget also supports gigabit wired connections so that it is possible to copy files over a LAN at a speed higher than 80 MB/s. In the test, ZTE MF286 proves to have good signal coverage; it can cover an office larger than 500 square meters. The signal attenuation is not obvious even at a point far from the device. Internet surfing is smooth, even in a meeting room separated by glass doors. Conference calls are an indispensible part of business interactions. As a standard feature for high-end wireless routers, ZTE MF286 supports advanced VoLTE voice calls. You can connect it to a telephone or a conference hands-free telephone system to get a much better call quality than regular telephone calls. 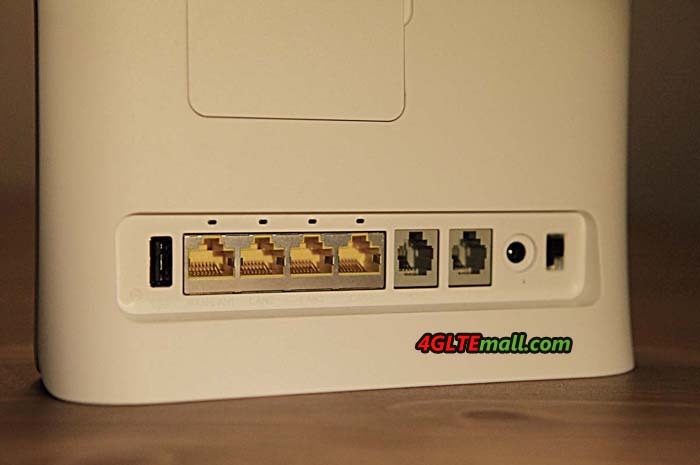 With 4 RJ-45 Ethernet ports, there is a USB port which connects a USB disk to share pictures, files or videos among the users on the same WiFi network. As ZTE’s first 4G LTE Cat6 router, the MF286 Router has many selling points which are practical for users. But Huawei E5186 has been on the market almost one year ahead of ZTE MF286, we can’t tell whether the MF286 will gain the trust from customers even though Huawei E5186 CPE doesn’t have the battery.